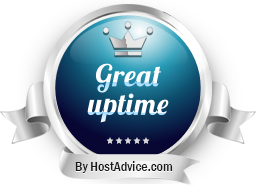 We have been awarded Hosting Uptime of 99.7% by the HostAdvice this month. So why not share it with you guys. It’s a great honor that we are being continuously recognized by different third parties this year. This time our shared hosting services have been recognized for a high up time ensuring availability round the clock. Our servers are up all the time and are seldom rebooted if any software is to be upgraded/patched. We ensure smooth and prompt services to our client and this award is the clear depiction of our commitment. We also have revamped our Reviews & Awards page in order to out spoke quality of our services. The Hosting Uptime of 99.7% award is the latest addition to our hall of fame. In addition to that we also have added a brief time line under it which will of course expand over the coming years. Bitcoins hosting by Host Mayo! Host Mayo Summer 2018 Updates!